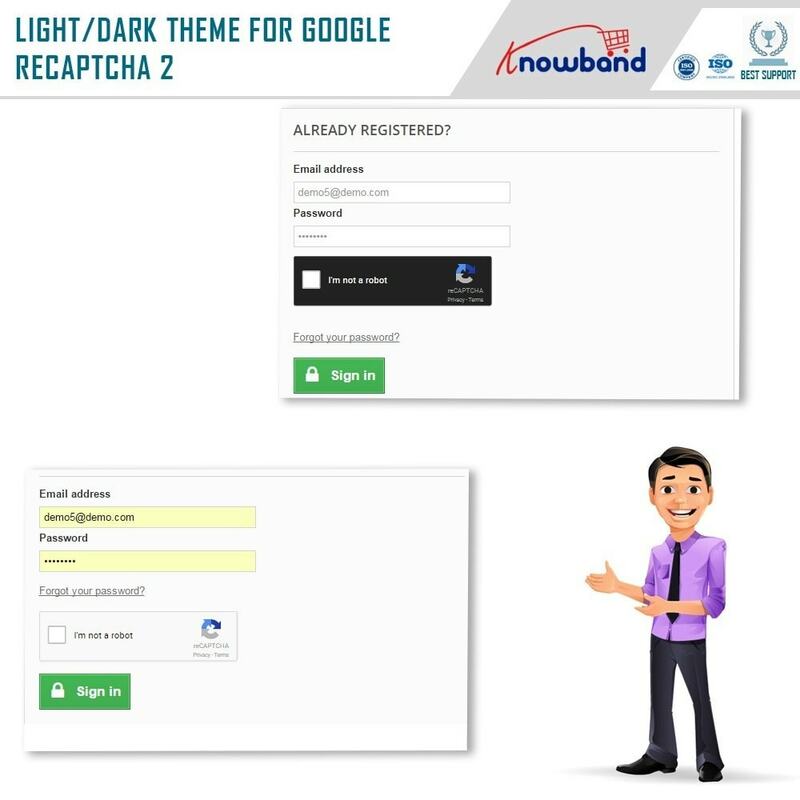 The Prestashop Google reCaptcha module increases the website's security and provides protection against spam, abuse, and bots by adding Google reCaptcha on the store pages. - The Prestashop human verification makes sure your store is not accessed by any spambot. - The Prestashop addon saves your site from various bot-based spam attacks. - It adds an extra layer of security without much of the efforts. - Protects all your website pages and forms from spam access. - Can be highly useful in preventing DDoS attacks on your store. 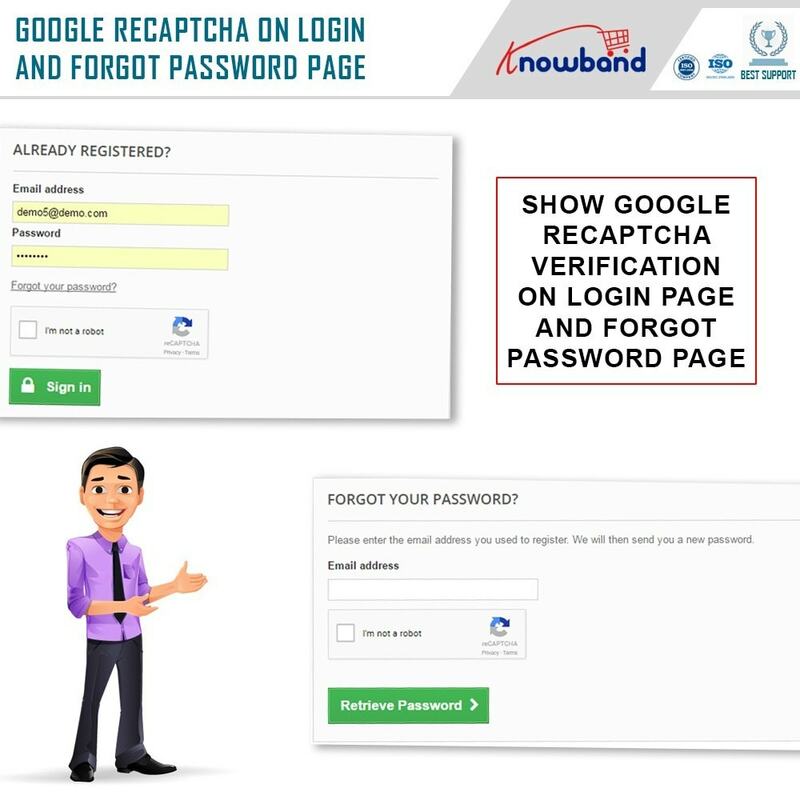 Sites without reCaptcha protection are highly susceptible to spam attacks and abuse. 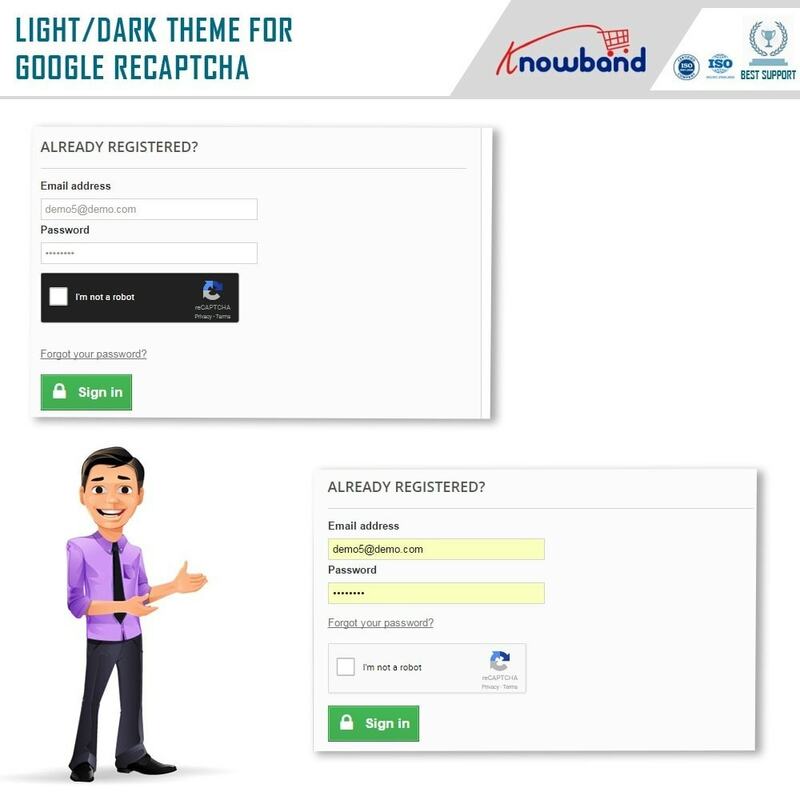 However, because of the complex and irritating reCaptchas, site owners fear to use them on their site, as they may irritate the customers. 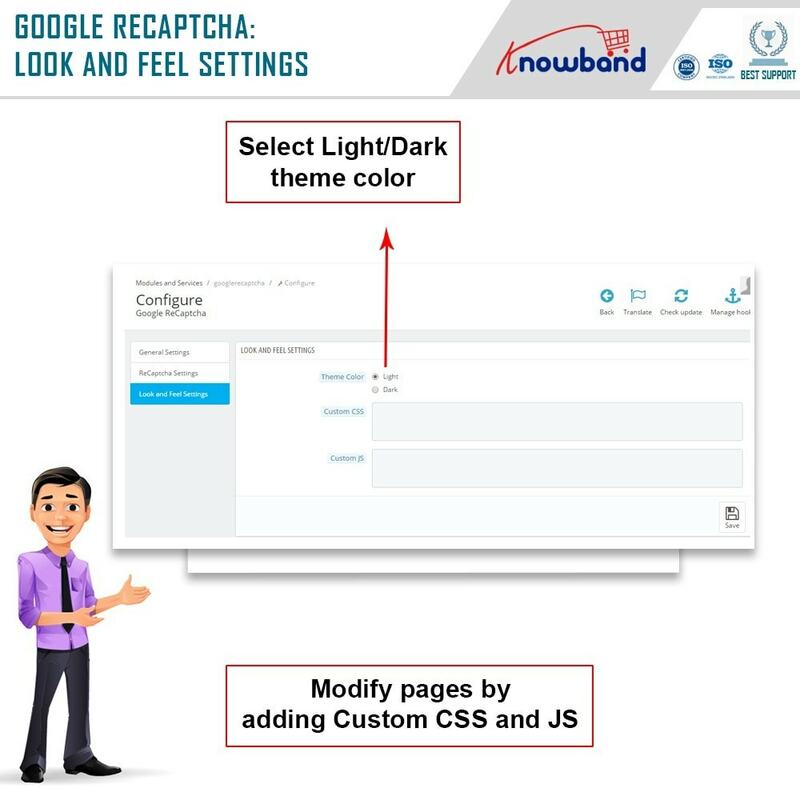 Prestashop Google reCaptcha module comes out as a savior which is too easy for the human users to pass without causing much hassle to them. 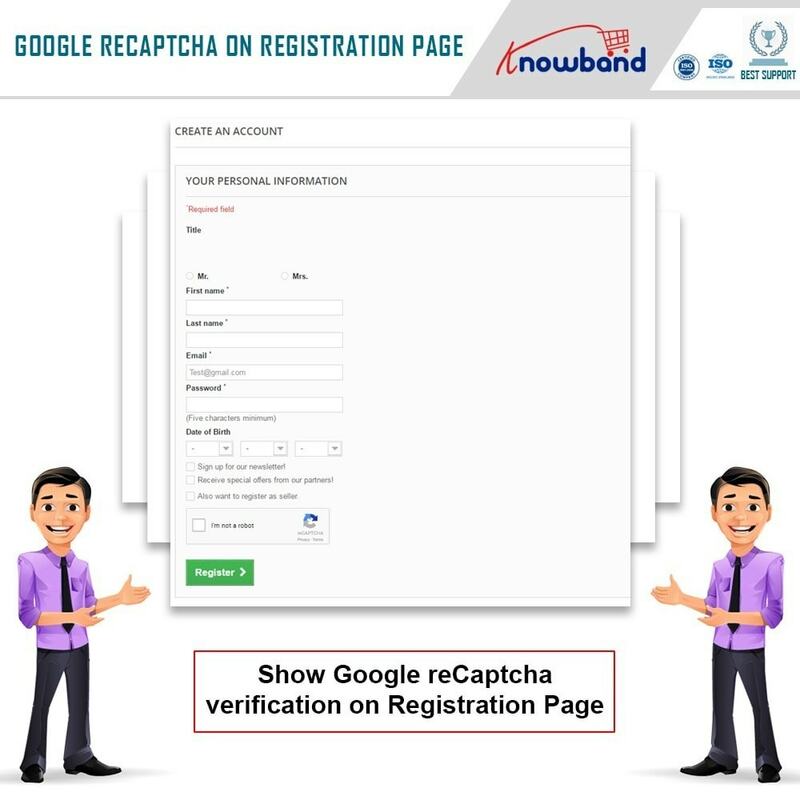 You just need to click on a check-box, and that's it, you have passed the test. This test seems very easy but is really impossible for spam bots to pass. So, let this Prestashop addon secure your PrestaShop store from spam and abuse, and ensure only the genuine customers, as well as visitors, can access it. 1. The Prestashop module is easy to Install and configure. 2. It adds an extra layer of Website Security. 3. The Prestashop human verification blocks Spam Registrations. - Customer Forgotten Password page. 5. 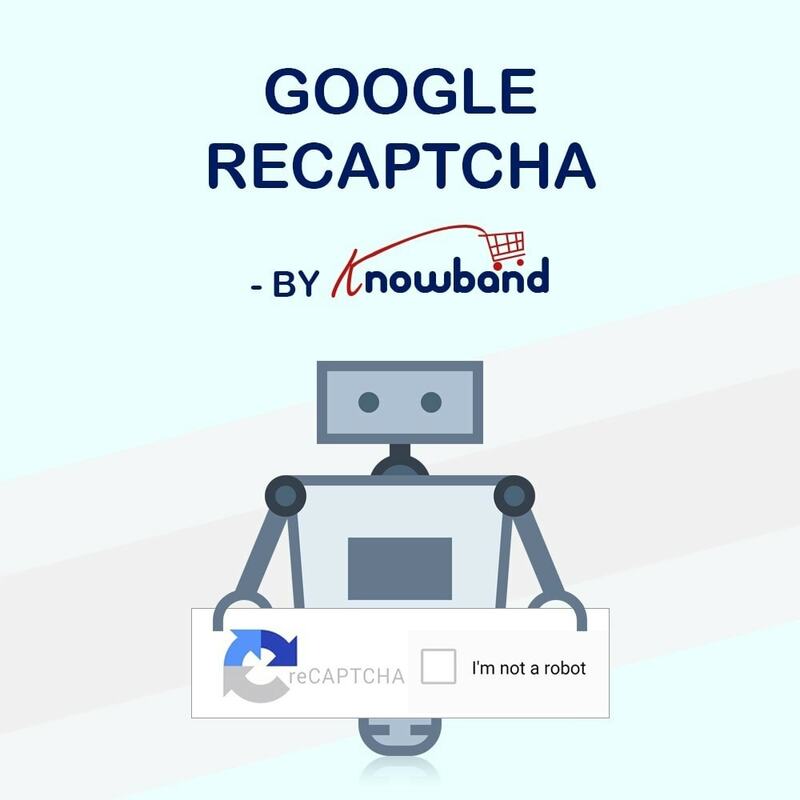 There’s an option to show Google ReCaptcha addon right from the beginning or after a particular number of failed attempts. 6. Option to choose from Light and Dark Themes is available in the Prestashop addon. 7. Option to change custom CSS and JS from admin panel itself is available. 8. The Prestashop module works well even on your HTTPS-enabled site, as it is SSL compatible. 9. No problem while using on Multi-Store enabled sites. 11. Multi-Language Compatibility to adapt as per your site’s language settings. 12. 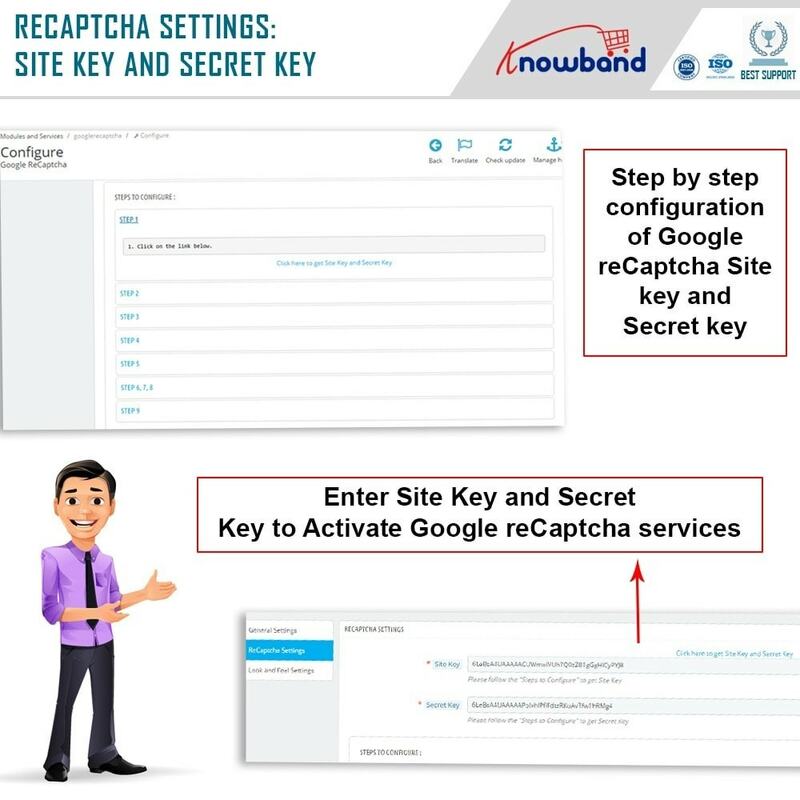 Step by Step instructions given in module settings to get Site key and Secret key. Prestashop Block User/bot by IP, Country or User Agent restrict the access of your website for the unwanted bots or users. 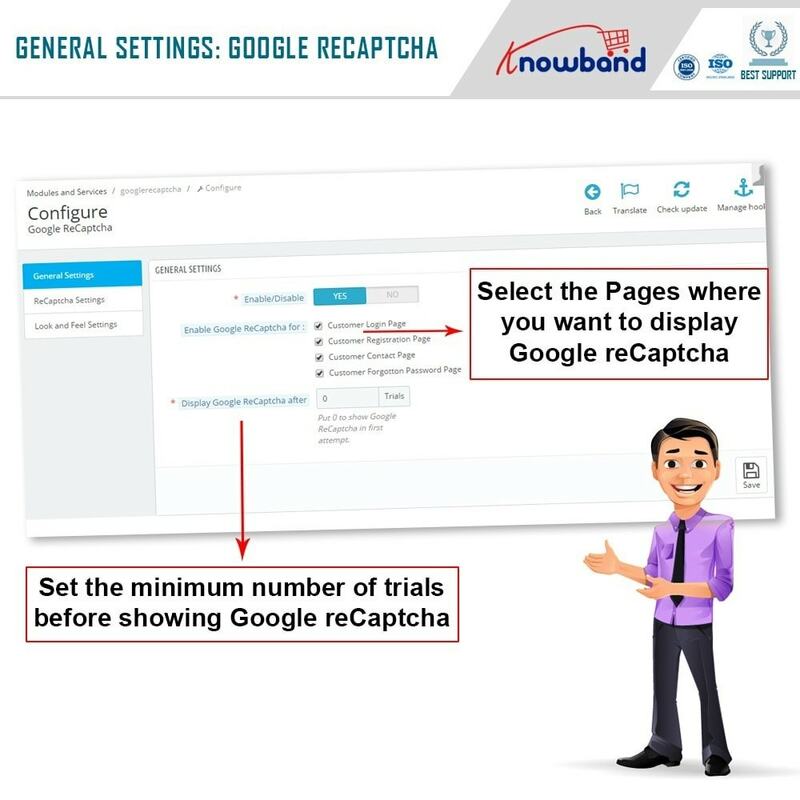 Block the entry of the user or bot by IP address, country or user-agent being used by them.